I already have a trusty Parkin recipe in my arsenal, which has served me well time and again. However, it's not as sticky as traditional parkin so I thought I'd test out a new recipe to see if it was any better. Big mistake. This new recipe that I tried came out a bit sunken but I can cope with that; the recipe said to expect a bit of sinkage. However, after leaving it to cool down it was like a brick. Now maybe I jumped the gun a bit by throwing it away at this stage as you are supposed to wrap it up and store it for two days to let it get nice and sticky, but I really don't see how this brick-like cake could turn soft and lovely just by being kept in an airtight container for a couple of days. Surely there needs to be a bit of moisture in there to begin with? So that recipe went straight into the bin. After my parkin failure you could say I was less than optimistic about trying another new recipe. But I sucked it up and gave it a go, thinking at least I could always fall back on my old Parkin recipe if this fails. 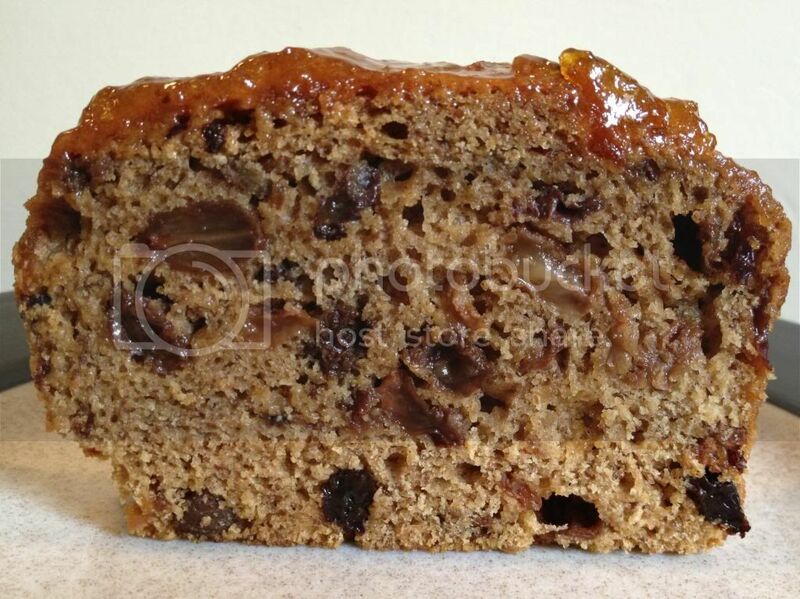 This lovely cake you see here is a Yorkshire Tea Loaf (made with real Yorkshire Tea don't you know! ), with rosewater, rum and tea (of course) infusing the dried fruit. The loaf contains a bit of marmalade, and also has extra spread on top so it gets lovely and sticky. (These traditional Yorkshire cakes all seem to have a sticky theme!?) Anyway, as you can probably tell I am VERY happy with this cake - and I don't even drink tea! I changed the recipe around a bit, veganising it by using ground flax seed in place of the egg, changing the brandy to rum and adding a little extra liquid. I was still a little concerned that there would be other people making the same thing as me and so it wouldn't stand out but after feeding some to my mother-in-law and her 13 year old son, I'm confident it could stand up against others of its kind as they both loved it. I don't by any means think I'm going to win the competition but I think (hope) that I at least have a fighting chance. 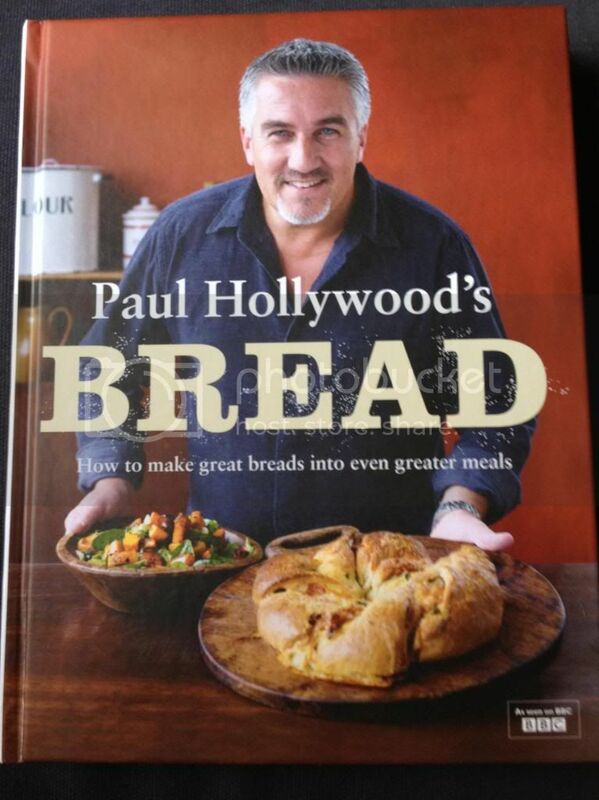 I'm very into Paul Hollywood at the moment, after watching his BBC series on iPlayer. I think his bread looks amazing and he talks about it in such a way that you can understand why he does what he does. I've started working my way through the book already, making a bloomer this week - but we ended up eating it all before I got around to taking a photo! Oops!